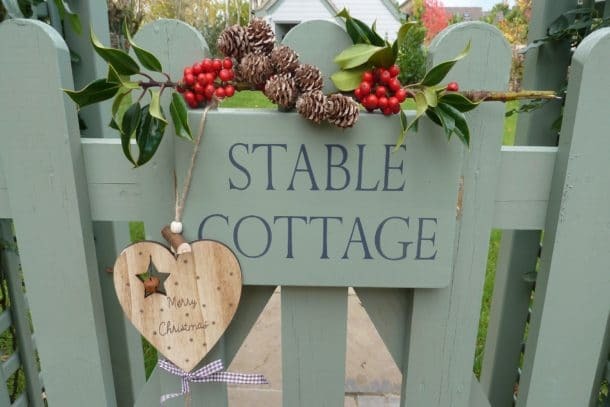 When someone visits www.dhcottages.co.uk we use a third party service, Google Analytics, to collect standard internet log information and details of visitor behaviour patterns. We do this to help us improve the user experience. This information is only processed in a way which does not identify anyone. We do not make, and do not allow Google to make, any attempt to find out the identities of those visiting our website. When staying in one of our properties you may be offered free Wifi – we do not monitor your usage in any way. As part of the registration process for our e-newsletter, we collect personal information, which is limited to your first name, last name and email address. We use that information for a couple of reasons: to tell you about stuff you’ve asked us to tell you about, which includes special offers, new holiday homes, whats on in the area, Dorset interest articles. We also use this information to check our records are right and to check every now and then that you’re happy and satisfied. We don’t rent or trade email lists with other organisations and businesses. When you book a holiday with us we wont automatically add you to our newsletter, we will ask for your explicit consent to do so. We hold some of your personal details on our CMS, this is securely held and we only hold your details to comply with HMRC regulations. Your data is not shared with any other third party. Any printed booking forms are securely held in our offices and locked away. Your information will be shared with the owner of the holiday home that you have booked. This information is only used to ensure the smooth running of your holiday and will be destroyed after your stay.